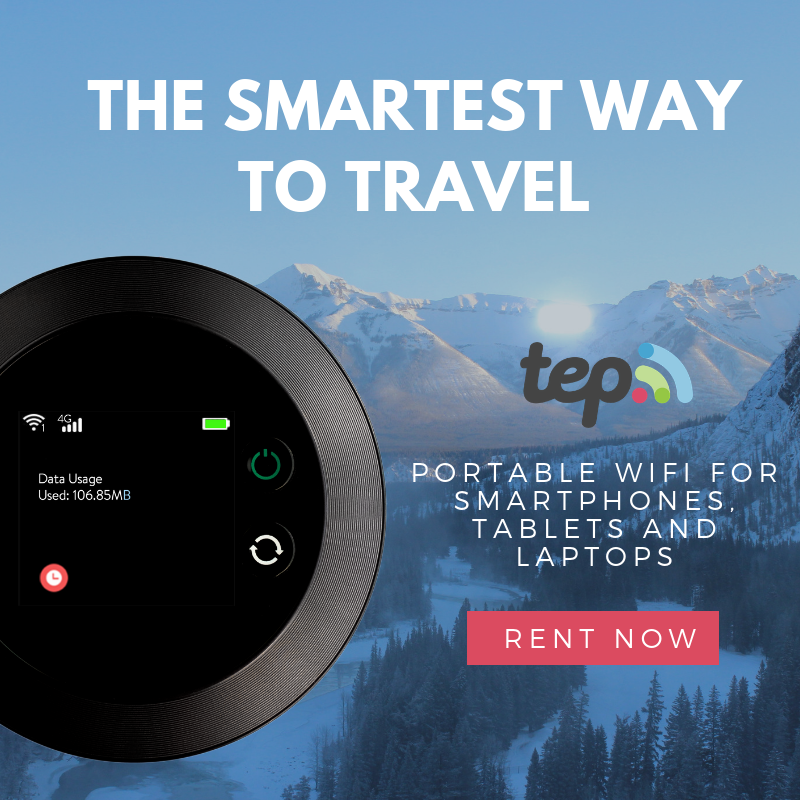 ruthdelacruz | Travel and Lifestyle Blog : Congratulations 2011 Belle De Jour Power Planner and First Valid Entry Prize Winners! 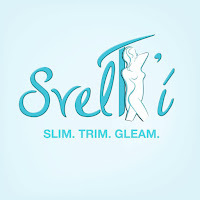 Congratulations 2011 Belle De Jour Power Planner and First Valid Entry Prize Winners! 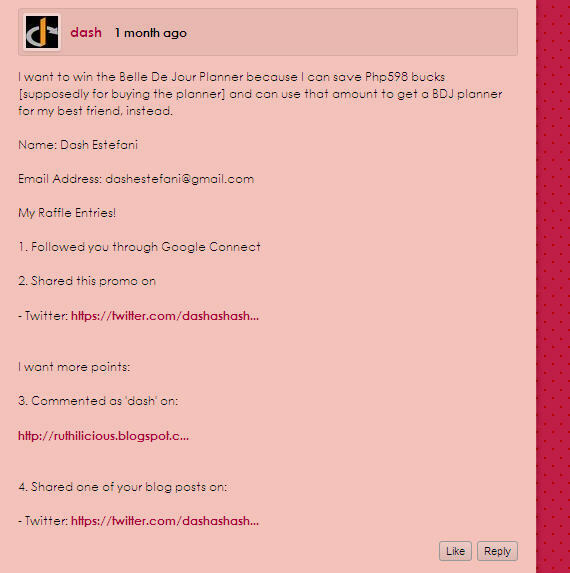 Sorry it took me a while to read all the entries, and finally, I have picked the lucky winner for the Belle De Jour Power Planner. I am inspired by her attempt to copy the planner, and her interest in knowing the brand more. I love her list of the things she wanted to do with the planner. It is candid and playful and very honest. She deserves to own the 2011 Belle De Jour Power Planner! 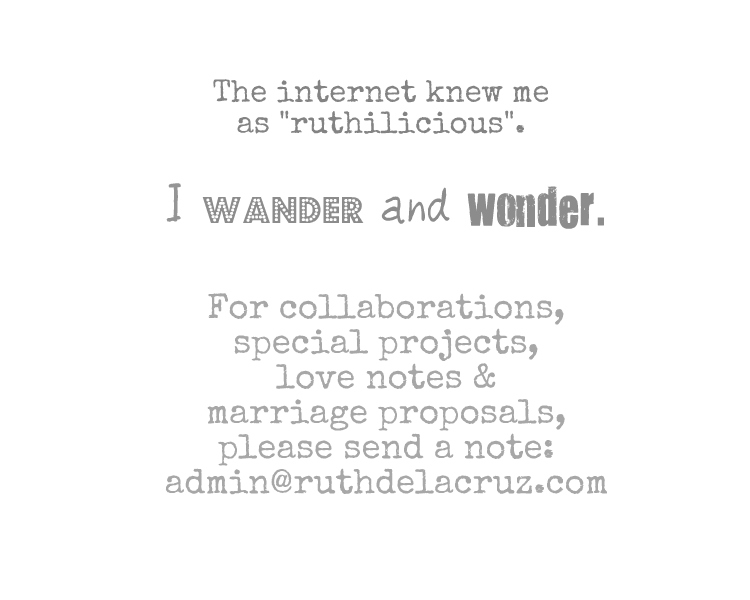 Please send me a note with your full name, contact number and mailing address at ruth[do]is[dot]ruthilicious[at]gmail.com. My giveaway raffle is still up and open, so don't despair. Join the promo here: http://ruthilicious.blogspot.com/2010/11/slice-and-glass-of-favorite-things.html#disqus_thread. 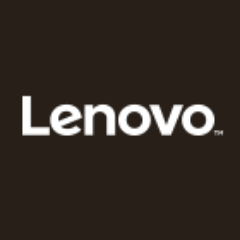 You have until January 29, 2011 to follow and win! 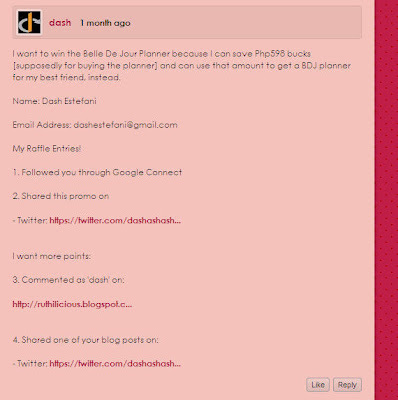 © ruthdelacruz | Travel and Lifestyle Blog : Congratulations 2011 Belle De Jour Power Planner and First Valid Entry Prize Winners!